Chesterwood’s vast collection of objects spans a wide range of styles, periods, sizes, and media. The collection forms an encyclopedic array of Daniel Chester French’s oeuvre and biography: from the monumental marble Andromeda dominating the Studio to diminutive plaster maquettes and studies that line the workroom walls, from an heirloom Colonial-era sofa in the Residence Parlor to modern photographs, drawings, and abstract sculpture. 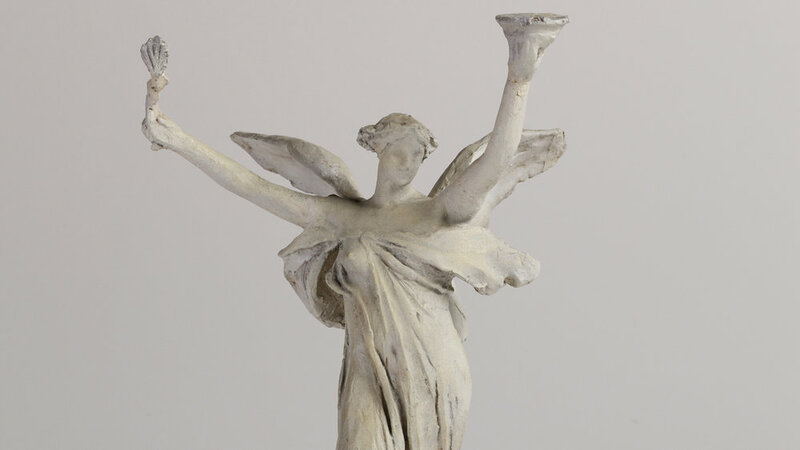 The fine arts collection comprises more than one thousand objects of sculpture, paintings, miniatures, and works on paper, and includes the largest collection of art works by Daniel Chester French anywhere—in fact, one of the largest collections of a single sculptor in the country. Housed in the Studio, Residence, Barn Gallery, and newly opened Collections Gallery are almost five hundred statues, twenty-three oil paintings, and thirteen portrait pastels—all by one artist: Daniel Chester French. 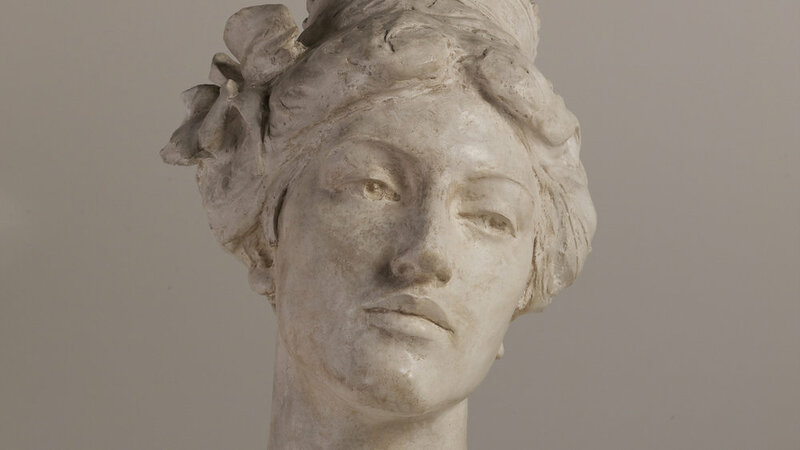 Plastilene models and plaster casts for major sculptural commissions enable the collection to speak volumes about French’s working methods and creative process. The Chesterwood collections also include furnishings of the house and studio, such as European and American furniture, textiles such as rugs, curtains, and bed coverings, and decorative arts objects—place settings, silver, glass, knick-knacks, table-top sculpture, and even a brass menorah. The objects span six centuries and give insight to the family’s taste and lifestyle. Thanks to a generous grant from the Henry Luce Foundation, a former resource room and storage area adjoining Chesterwood’s Barn Gallery was transformed into a climate-controlled, state-of-the art exhibition space, now open to visitors as of May 2018. Approximately 150 rarely exhibited objects from the collection (including paintings, models, maquettes, and finished works in plaster, marble, and bronze) are on permanent exhibit. The installation is designed to illuminate the development of French’s work over time and to provide a window into the artist’s working methods, techniques, and creative processes. Visitors to Chesterwood can now view a more complete timeline of French’s life’s work. The works are presented in chronological order, beginning on the left wall with highlights from the first half of French’s career: portrait reliefs of French’s two older sisters, a bronze study for the Minute Man, two bronze casts of the Head of Mourning Victory from the Melvin Memorial, and a bronze working model of the Standing Lincoln for the Nebraska State House. The opposite side of the gallery features works from the second half of French’s career and includes working models of The Spirit of Life, the Manhattan Bridge groups, the melancholy Spirit of the Waters, and the majestic First Division Memorial. 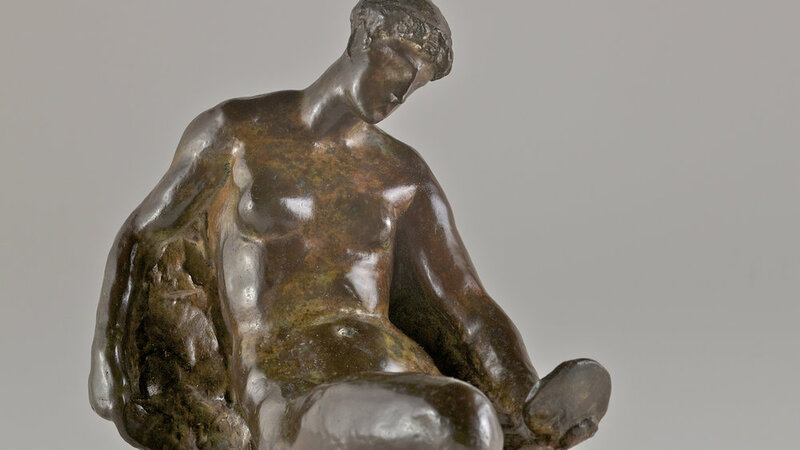 Placed in between these well-known works are a myriad of studies and maquettes, small bronzes, and reliefs that invite exploration and add dimension and depth to the illustrated history of French’s long and productive career. Oil paintings are arrayed along the back wall of the gallery. It may come as a surprise to see that French was just as talented with a brush and paint as he was with clay. His masterful portraits of his daughter, Margaret French Cresson, have never been exhibited. Also featured are works by French’s artist friends, including the American Impressionist Robert Vonnoh who painted portraits of both French and his daughter. Sculpted portrait busts of family and friends from throughout French’s career are also included in this section. In the middle of the room, the full-size plaster of French’s final, unfinished work, the monumental Andromeda, inhabits a large display glass case. While the marble Andromeda in the Chesterwood studio might be well-known to the frequent visitor, this full-size plaster has never been exhibited since its creation about 1930. 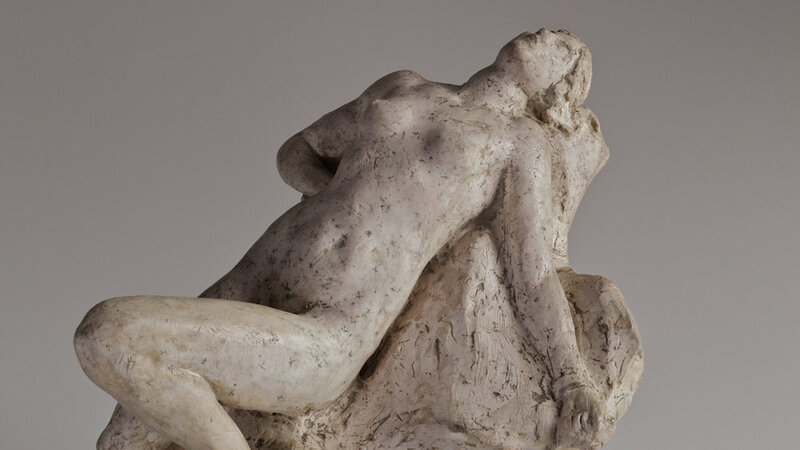 Nearby, related Andromeda maquettes illustrate the artist’s progress from a germ of an idea to an enlarged version, through to the full-size model. Clearly visible on the full-size plaster are “pointing marks,” small x’s drawn by the Piccirilli Brothers, marble carvers who transferred French’s design into stone. The new Permanent Collections Gallery was developed by Donna Hassler, Chesterwood’s executive director; Gerry Blache, Chesterwood’s senior buildings and grounds superintendent; Dana Pilson, Chesterwood’s curatorial researcher; Jeff Daly, exhibition designer; Anita Jorgensen, lighting designer; and various subcontractors.